Discover splendid Victorian architecture in the heart of Plymouth's cityscape. Step back in time and experience a hotel with a story to tell. In the heart of Plymouth, relish in the city, countryside, moorland, and sea. Make a difference for Mayflower 400, and support Plymouth's exciting transformation. Explore the Duke in motion, our highlights captured on film. Stylish rooms for sole guests, each combining beautiful period details with modern comforts. Elegant accommodation options for couples or for pairs of guests sharing a room at the Duke. If you’re travelling with children, our family rooms offer the extra space and facilities you need. 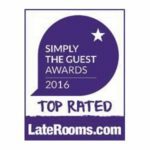 For added indulgence, check out our superior rooms, with their tempting treats and top facilities. Our finest bedroom range offers style, space and comfort, and includes our stunning four poster bridal suites. The Duke offers a variety of food and drink experiences in stunningly stylish surroundings. A grand but cosy space to enjoy a light lunch or meet with friends for a pre-show drink. Enjoy delicious, adventurous dishes in the style and luxury of our AA Rosette-winning restaurant. An indulgent afternoon tea for two in the Duke’s iconic tower with stunning views and butler service. An exclusive eating experience perfect for family functions or private business meals. 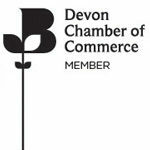 The Duke is the ideal venue for business events and meetings in the centre of Plymouth. Choose from our superb range of stylish, well-equipped corporate spaces for your event. We cater for everything from conferences and exhibitions to meetings and seminars. Get first-class business event support and benefit from modern equipment and facilities. Inclusive deals for your delegates, with accommodation options, and high-quality catering. 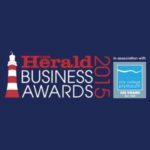 Celebrate at central Plymouth’s most stylish venue and enjoy our great food and top service. Choose the Duke for an elegant and awe-inspiring setting for your formal evening event. 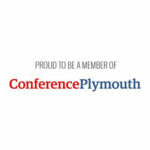 Whatever the occasion, make it truly special by hosting it at Plymouth’s first luxury hotel. The grandeur of the Duke provides the perfect setting to celebrate your successes in style. Mark a momentous night in a suitably elegant setting right here in Plymouth’s city centre. 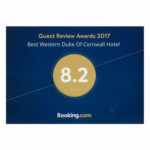 The Duke offers a spellbinding historic setting and fantastic service in the heart of Plymouth. Take a tour of our breathtaking wedding venue and a glimpse of other couples’ special days here. Discover our great range of options, from full wedding services to receptions and evening parties. The Duke provides everything you need for a magical, memorable civil partnership ceremony. Tap into our hand-picked selection of wedding experts for every aspect of your big day. 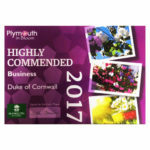 Keep abreast of the latest news, events, features and offers from us here at the Duke of Cornwall hotel. Find out what’s happening here at the hotel plus details for events nearby all year round. The Duke of Cornwall’s March 2018 Mini Wedding Collection was a stunning event for engaged couples. The show featured a selection of our trusted wedding suppliers. Plus, Agata from UpArt Photography was on hand to capture the magic of the evening. You can see some of her beautiful images here. 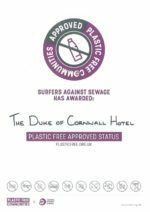 Member of the Make a Difference for Mayflower 400 Steering Group The Duke of Cornwall Hotel Plymouth | Wedding Venues Plymouth | Each Best Western® branded hotel is independently owned and operated. 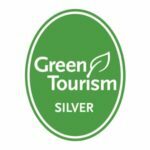 © 2002–2019 Best Western International, Inc. All rights reserved.